July 25, 2018—Steven Holl was this evening's guest lecturer at the Porto Academy. Porto Academy—hosted by the Faculty of Architecture in University of Porto in Porto, Portugal—is a week-long program dedicated to the study of architecture. Students take part in studios and attend lectures twice a day. Holl spoke to 700 attendees about how art and architecture can activate the brain and engage the senses. 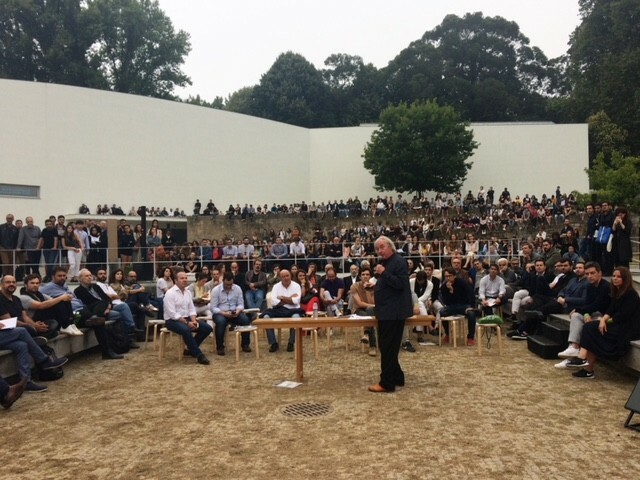 In addition to presenting to Porto Academy students and faculty, Holl had the honor of speaking to some of Portugal’s greatest architects, critics, and thinkers. Good luck to the students of Porto Academy as the finish their week of studies and design!